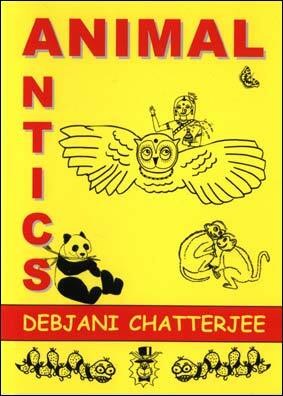 Recommended by both the Poetry Society and the Poet Laureate Andrew Motion, Animal Antics is the first collection of poems for children by the leading Bengali/English writer and poet Debjani Chatterjee. Well known for her poetry and other writing for adults, this work was inspired by a year spent as Writer in Residence at the Sheffield Childrens Hospital. "I have been writing for children for a long time, says Debjani,who lives in Sheffield.  The book is about animals - elephants, snakes, monkeys, etc - because children love animals and so do I." The Indian-born writers work has been described as "shot through with the rainbow colours that light up her life" and these colours certainly illuminate this captivating collection. 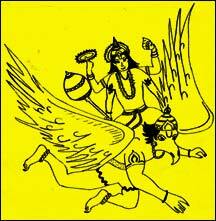 Drawing on her rich Hindu cultural heritage, Debjani provides delightful examples of the crazy antics of a variety of animal gods taken from Hindu mythology. The poet has also drawn the lively, engaging cartoons which illustrate the book described by the Poet Laureate Andrew Motion as "beguiling and heartening, by a poet full of wit and charm."